the adventures of tartanscot™: "Love Letters . . . "
Well, welcome to the first of exactly 26 posts - as we progress not only through our alphabet, but through a vast collection of things and places that delight me. I won't be so brave as to promise you edge-of-your-seat excitement . . . but, you should know that there ARE several letter with competing topics . . . and a few letters that still need filling in - but, I know that nothing works better than a deadline - so my dearest hope is that everything reveals itself in time . . . lol. I don't want to make this too overwhelming for either one of us. Not right out of the gates on our very first day of the "Love Letters" series . . . so to get us started - let's begin with something simple. Something we can all respond to . 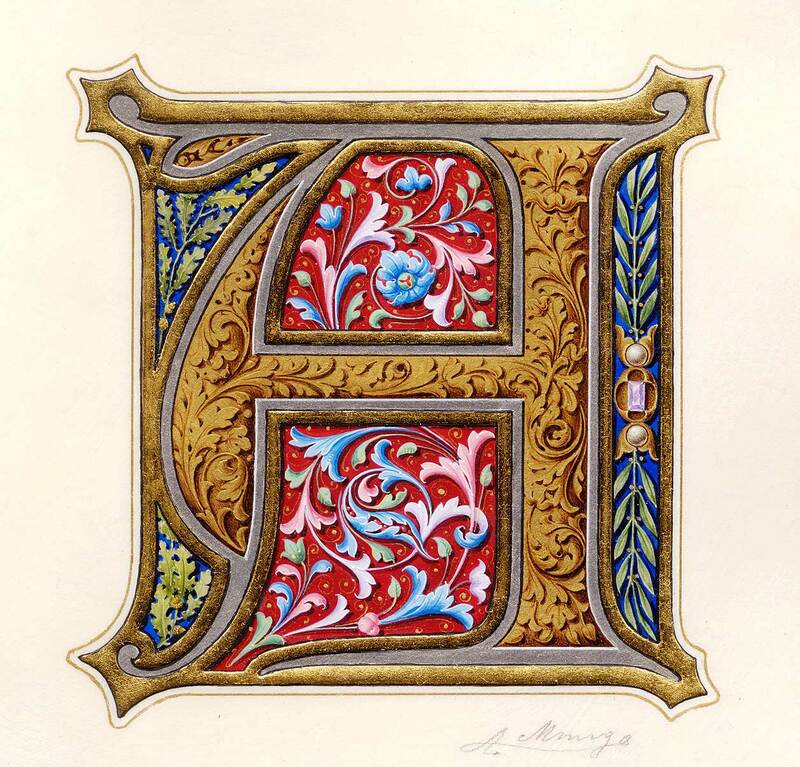 . .
"A" is for . . . So, let me set the scene - - you've just walked into a new friend's home for the very first time. And your host has stepped away to put your coats in the closet. Or to get you a drink. What is one of the first things that you do . . . ? Well, if you're are anything like me, you begin scanning through their bookshelves. What titles have they invested in? 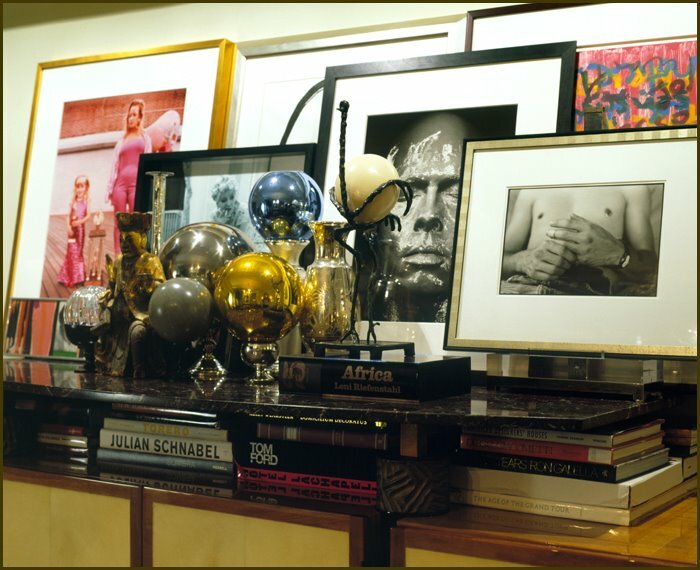 "You look at these details and a world unfolds - here are their books, the paintings they cherish, the music that soothes their souls"
And of course, any posts about art books must contain images of a library or two. Like this beautiful space - serving double duty as a dining room. 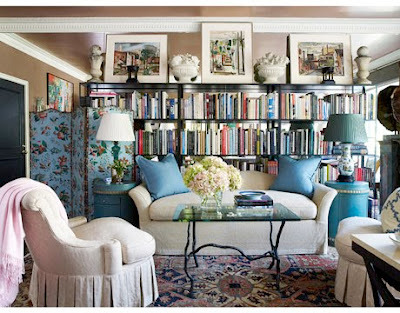 Or you can use a library to anchor a larger room. And I love the use of the mirrored wall as well . . . 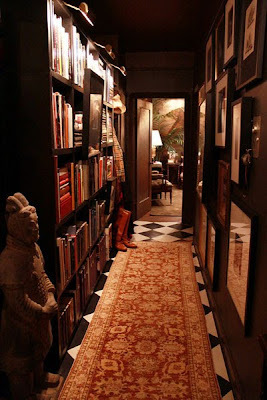 I was able to reinterpret my wide entry hallway to serve as my library. And because of its placement in the house, my books are never too far away. There. Short. Sweet. Nothing too strenuous for our first day. Though, from the look of things - tomorrow's post is going to require a bit more heavy lifting. 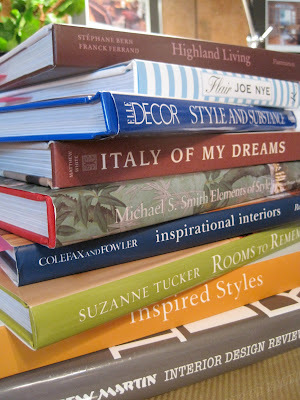 Yes, heavier than a pile of art books. 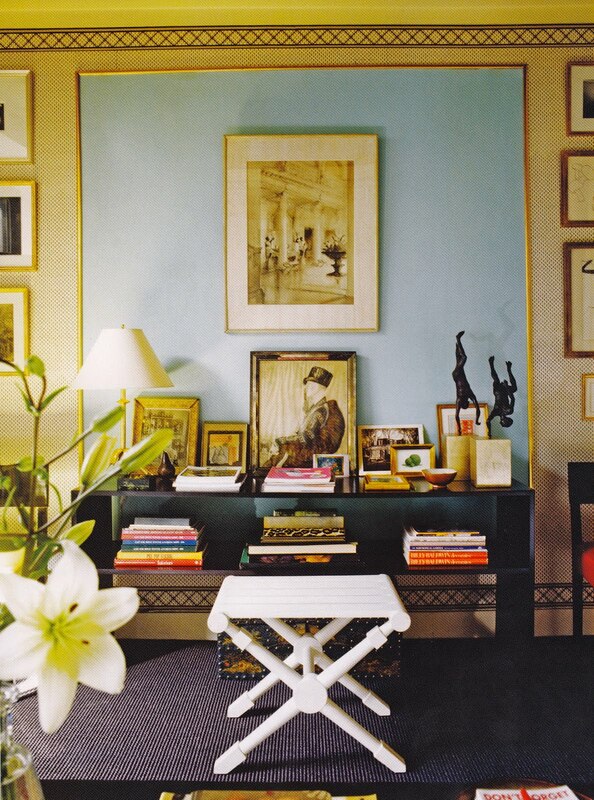 Well, your hallway is drop-dead gorgeous! 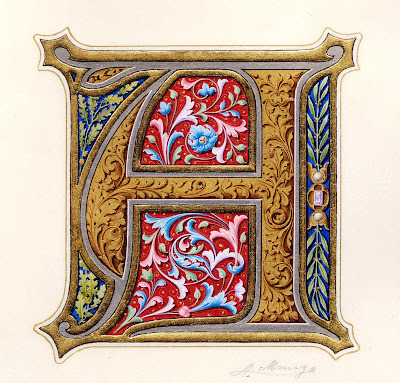 Loved this post and can't wait for the rest of the alphabet! I love your hallway. It's dramatic, convenient, and a great use of the space. You're gonna have to show us the room at the end of the hall we're getting a little peek into, it looks lovely too. Loved your idea of adding bookshelves down a long hallway. Saved that one! What an absolutely breathtaking post!!! Kudos to you dear sir!!! I can't wait for the rest of these posts to unfold!!! Definitely going into my "hall of favorites"! Have a fantastic weekend!